A full registration or full non-member registration includes all Fast Trak sessions, all seminars and technical workshops, exhibit hall entrance for three days, First-Nighter Party, Awards Luncheon and Farewell Reception. A full spouse registration includes exhibit hall entrance for three days, First-Nighter Party, Awards Luncheon and Farewell Reception. There are many options for registration. Of course, your best option is the full registration that covers all meetings & workshops for the four days, entrance into the exhibit hall on all three days, the annual AEA First Nighter Party, the annual Awards Luncheon and a farewell event. 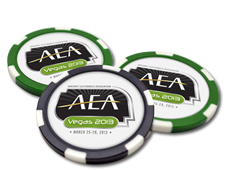 The advance registration fee for an AEA member is: $595. For non-members the advance registration fee is: $775. On-site fees are more expensive.